This is a tribute to the war heroes who gave everything, even their lives in the line of duty. Their priceless devotion, loyalty, bravery and personality have earned them enormous respect, distinction and worldwide recognition. We will always remain grateful and gratified to these great people for giving us our identity and national pride. They are the true heroes of Nepal. 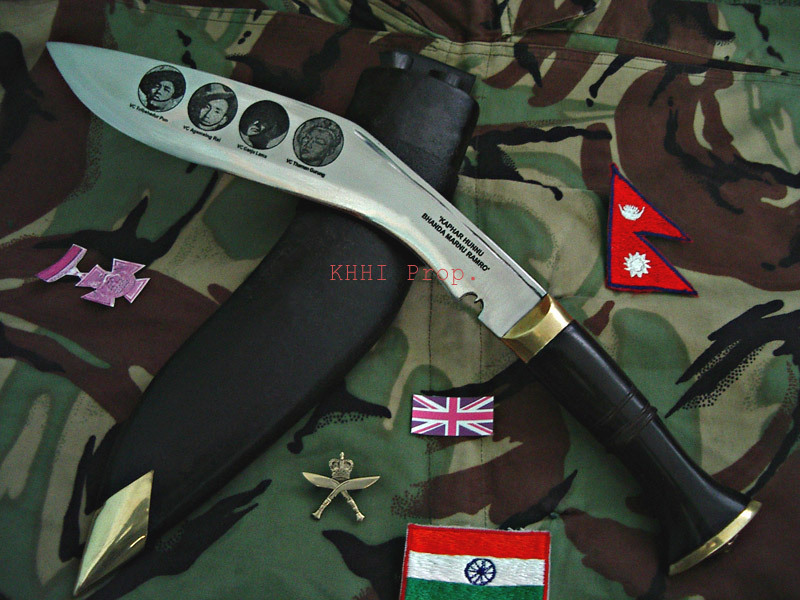 This khukuri is a dedication to the Gurkha VCs by KHHI to mark its utmost admiration and deepest remembrance. “We salute you all”. A famous “World War” version is picked for this noble purpose. 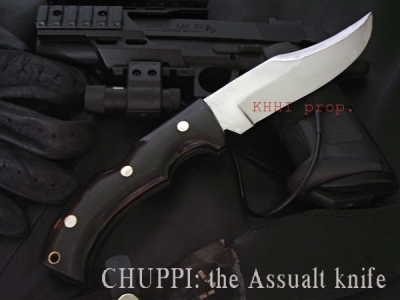 Since the formation of 1st Gurkha Military unit back in early 19th century many kukri knives have come into limelight and countless legendary tales attached to it. The World War version is one of them and believed to have been used by British Gurkhas towards the end of 2nd world war period. 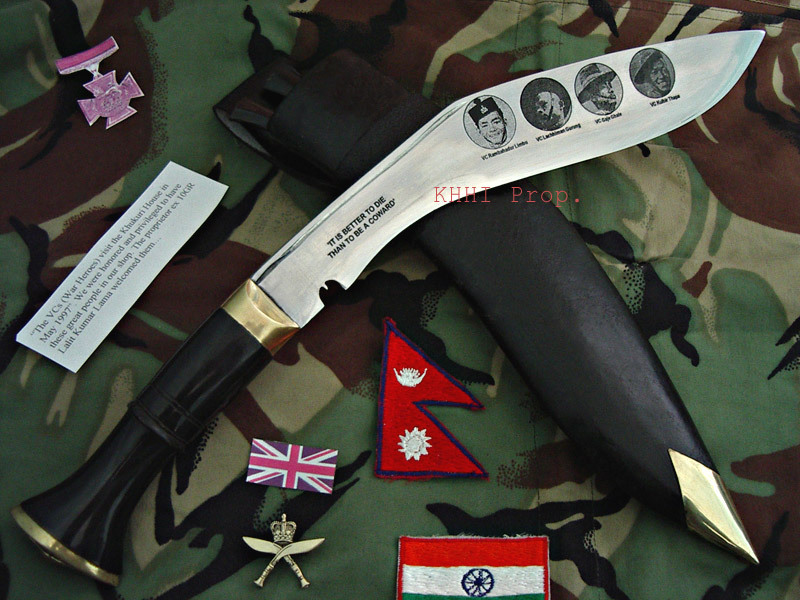 The documented sources do not really point to the fact that it was issued then but because of its more effective size, shape and weight Gurkhas were individually found widely using the kukri during the war torn days. In the hand of these fearless Gurkhas, World War became a formidable and often victorious knife that an opponent had to face against reluctantly. And thus the legend was born which continues to reign even today. A perfect displayer to keep at home or office, to honor the war heroes who stood in the harm’s way, who gave their lives for others. Dear friends, with great joy I want to thank you for such beautiful knives. Yesterday I received them and really exceeded my expectations. It is a great opportunity for me to have two beautiful knives. You leave to you especially to the hands that forged them. It was worth the wait.